In September I traveled to South Carolina and hunted with Will (left) and Ethan for a few days. These kids are bravely battling cancer every day and I hope and pray for them. One evening Ethan shot this buck, and we all gathered round the skinning shed. Lots of laughs and tears that night. 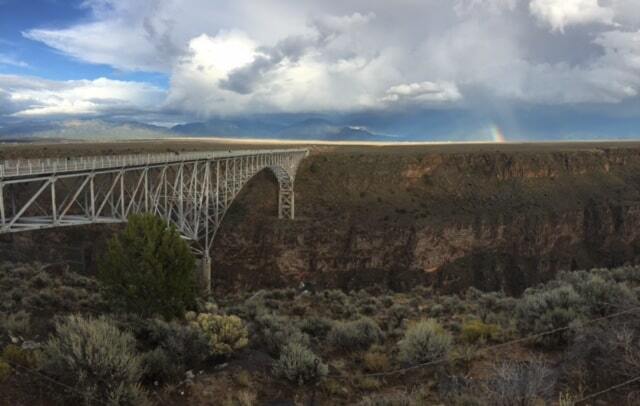 From there we traveled to Taos, New Mexico. It had been a few years since I had hunted elk, and I was raring to go…until I hunted a couple of dry days and figured out that no elk had yet made their way down from the high country to the lower elevations where we hunted. 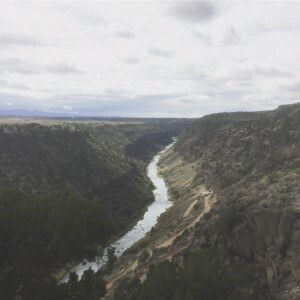 We gave it our best shot, hiking hard for 10-12 miles every day, to no avail. 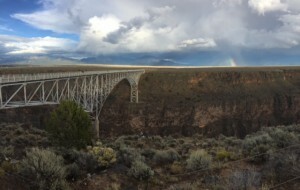 I don’t know how much if any of the footage we shot will air on TV…a shame, because the Rio Grande Gorge country is magnificent. In late October I trekked out to the Milk River in northeast Montana. 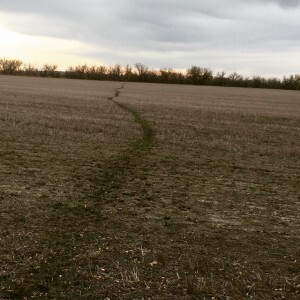 It was my first trip back to my old familiar hunting grounds since 2010, when a combination of EHD and flooding devastated the local whitetail herds, killing more than 90 percent of the deer. 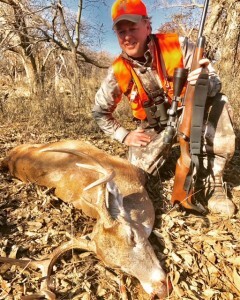 For 6 years I kept in close contact with my dear friend Luke Strommen, until we finally decided to try another TV hunt. 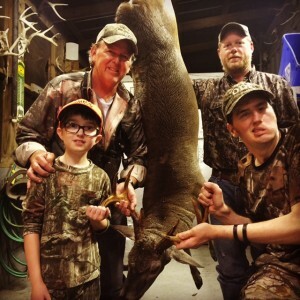 Luke shot a doe (above) and then a buck later in the season, though not on camera. 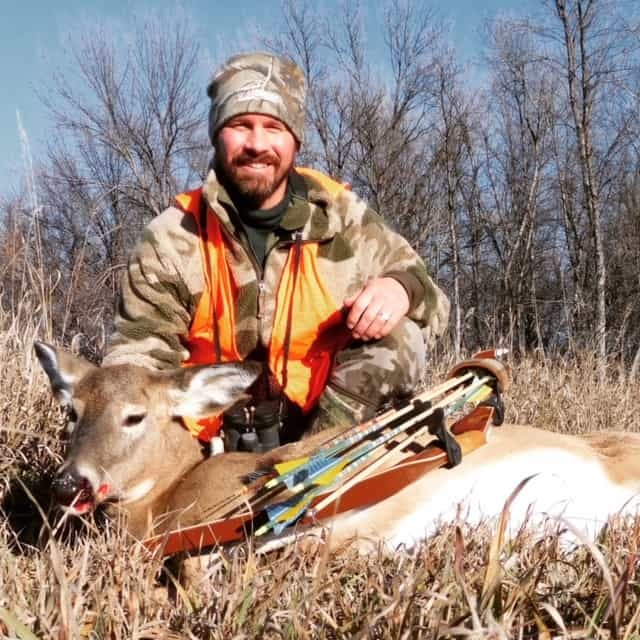 After hunting 3 days, I knew that while the herds had come back well on this section of the Milk, it would still take years before it gets as good as it was from 2006-2010, when Luke and I killed a bunch of good bucks with our bows. 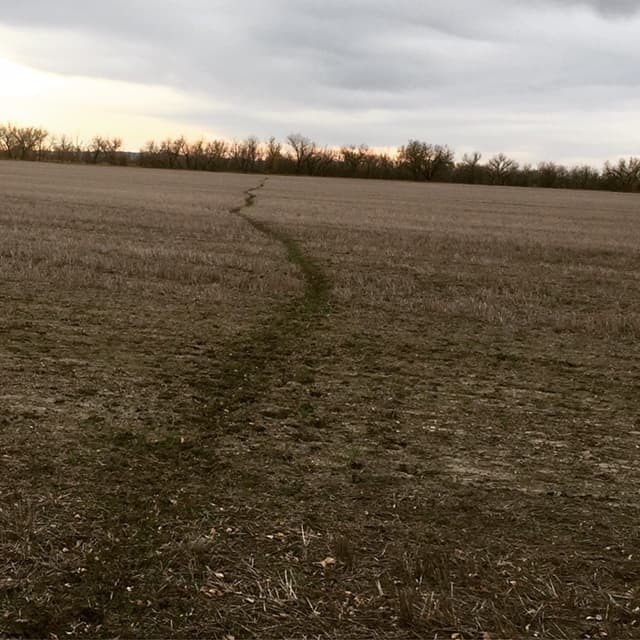 But I did find this amazing deer trail, and that evening hunted off the ground at the far end of it. 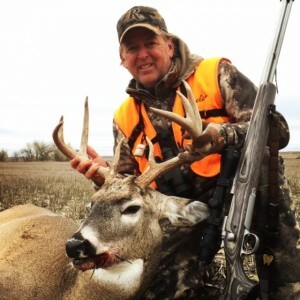 I was lucky to shoot this 4X4 with my Remington muzzleloader. I figure it will take 2-3 more years for the age structure of the bucks to be as it should be, and I have fingers crossed that the Milk River will be spared EHD for years to come. I can’t imagine what early November would be like unless I was shivering in a ground blind for 10 hours a day somewhere in the remote bush of north-central Saskatchewan. Except last month when I hunted there, the temperature soared into the unheard of mid-50s! (I have hunted this country when it’s been 70 degrees colder.) This time I hunted out of a rustic camp with my old friend Trevor, with whom I had hunted elk 30 years prior in B.C. 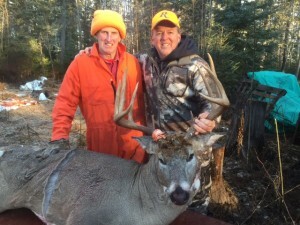 Turned out to be a fantastic reunion, as I got my Saskatchewan mojo back and shot a beautiful mid-150s buck. There is a twist to the story, but you’ll have to wait till next summer to watch. 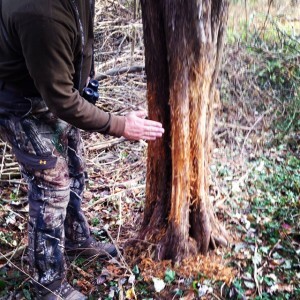 I hurried back home to hunt the second week of the Virginia blackpowder season, which is typically peak rut. 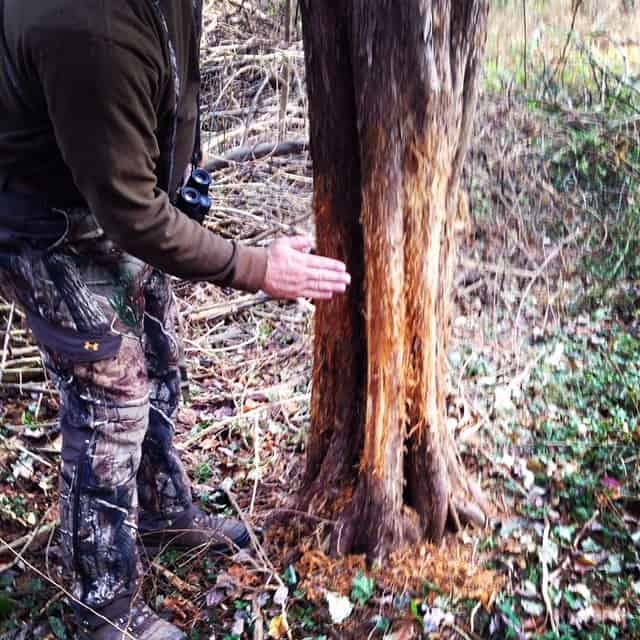 My friends Jack and Cecil and I had gotten pictures of good bucks all summer long, and as the rut approached we found some big rubs, including the largest cedar I have ever seen thrashed in VA. We hunted a week hard, and never saw a shooter…we had hit the dreaded “lockdown” phase dead on. BTW, there are recent stories floating around that lockdown–when bucks hole up with does and don’t move–might be a myth. Don’t buy it! 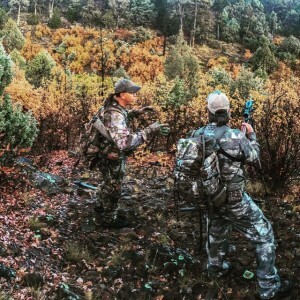 Unfortunately it’s real, and the buck hunting is downright difficult if not impossible. But there was a highlight from Virginia. One of our friends, Alex, who hunts Jack’s farm had a big bear amble beneath his tree stand, and he drilled it with his bow (unfortunately not on camera). 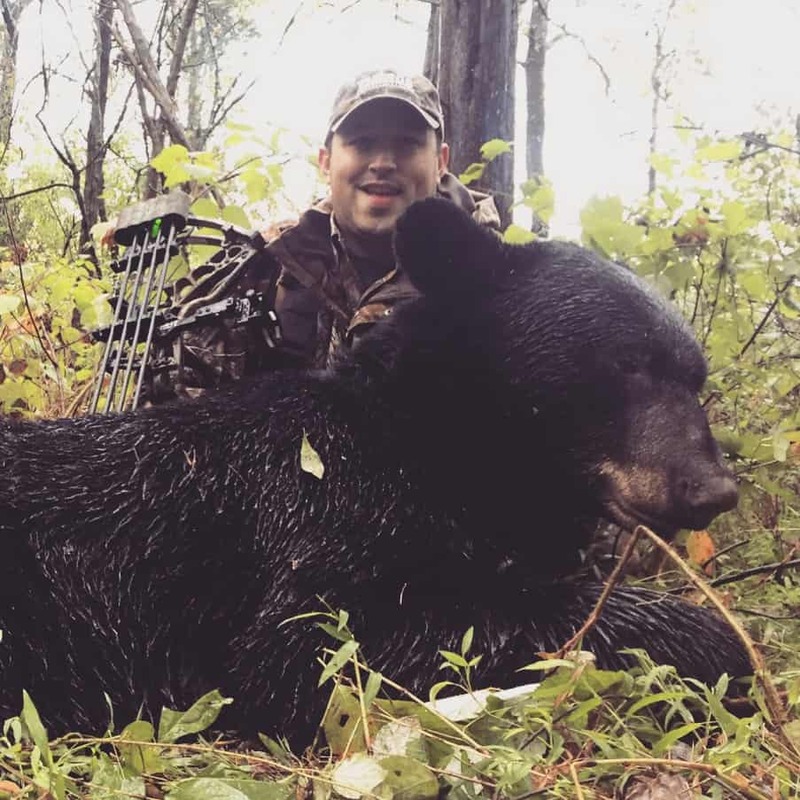 Our black bear population is exploding. The day after Thanksgiving I hopped a plane to Oklahoma to hunt with my good friends Scott and Joni at Croton Creek Ranch. We had 4 guests in camp, and the hunt was epic. Although it was late November, we hit the rut just right. I stalked and shot an old 8-point we named “crabclaw” as he tended a doe and ran off young bucks. The next 3 days, everybody in camp tagged out. The highlight was Chuck Wahr’s beautiful 150-class 9-point. I had hunted that deer 2 days and had seen him twice before I tagged out. 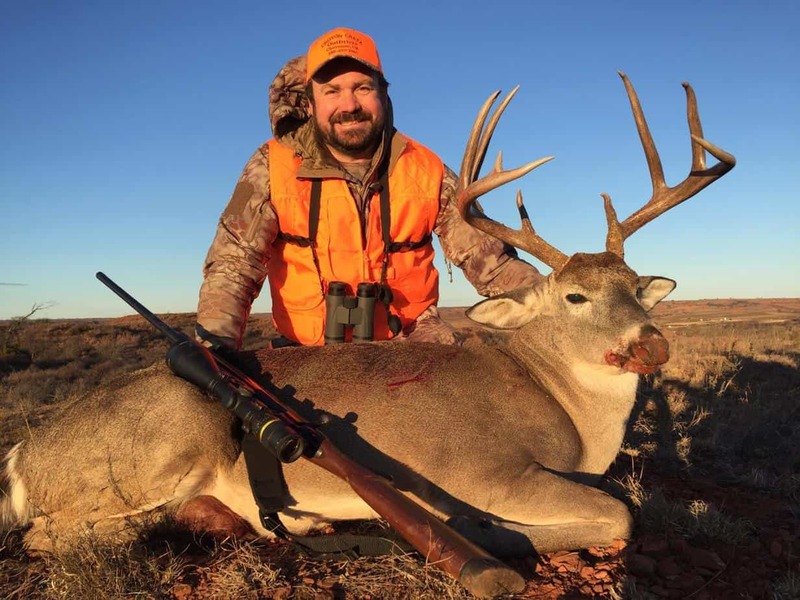 Chuck picked it up from there and shot what Scott figures was the biggest buck on the ranch last fall. 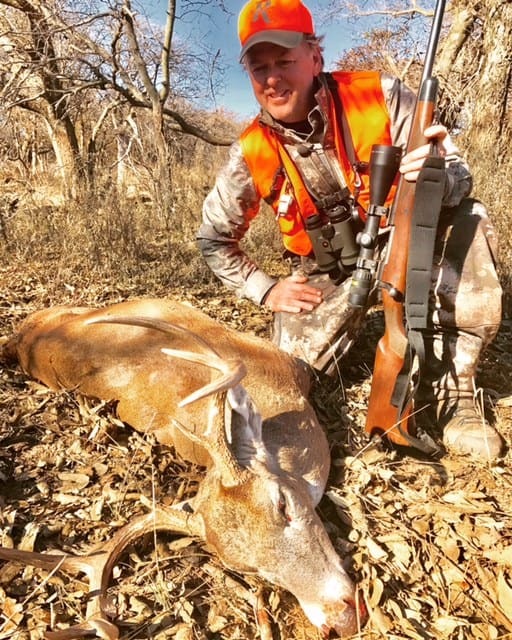 I pulled a rifle tag for southeastern Kansas, and headed out there on a semi-guided but mostly DIY hunt, a fine way to do it. It was warm for 3 days and we didn’t see much. One afternoon I decided to bag the tree stand and brushed in a blind in a cedar-thick staging area near a bean field. 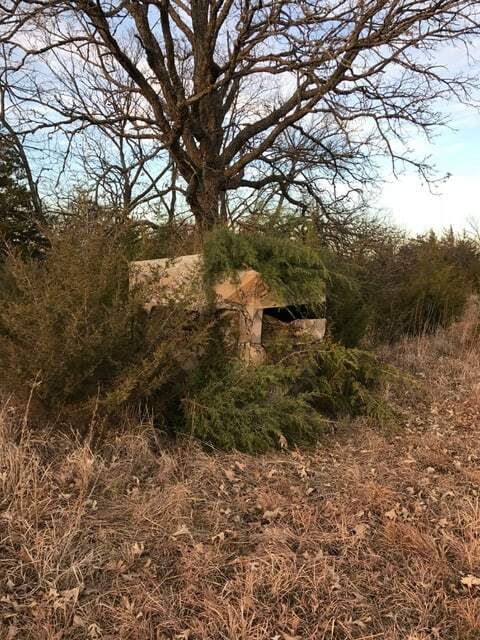 I stepped back, examined the blind and thought it looked like a great spot. Three hours later I shot a cool buck with 6 points on one side. Looking back, the fall of 2016 was a fun and successful year, and it’s not over yet. Well, 2016 is, but in January 2017 I’ll be heading down to south Alabama for one last hunt, hoping to hit the rut right again, hoping for one last buck and another new and interesting episode for BIG DEER TV. Thanks for watching, and again Happy New Year! 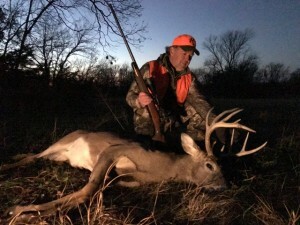 This entry was posted in Big Bucks, Big Deer TV, BigDeer, Bowhunting, Deer Guns & Loads, Hanback, remington, Sportsman Channel, whitetail deer by admin. Bookmark the permalink. Seems you had an awesome year Mike. Thanks for sharing Mike. I love catching up with your season(s). Good luck in Balabama. Happy New Year brother! Today is Indiana’s final day of the entire season and I won’t be able to make it out. Happy New Year everyone and good luck and be safe in 2017.